India is among the top three fastest growing Internet markets in the world, a study by industry body Assocham and ComScore has said. "Among the Bric nations, India has been the fastest growing market adding over 18 million Internet users and growing at an annual rate of 41 per cent," the study said. 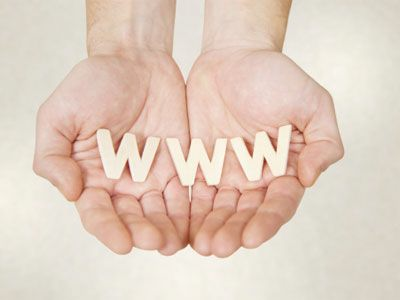 The Internet user base in the country is approximately 125 million, the study added. "China added over 14 million users to reach 336 million Internet users by the end of July 2012. Russia and India show similar trends in online usage patterns along with similarities in e-commerce and payment types," it said. India is also among the top three fastest growing markets worldwide in the last 12 months, the study said. "Interestingly, about 75 per cent of online audience between the age group of 15-34 years, India is one of the youngest online demographic globally," Assocham secretary general D S Rawat said. He said the trend is expected to continue in coming years given the age distribution in the country. Among the age segments, 15-24 years of age group has been the fastest growing age segment online with user growth being contributed by both male and female segments. The top five popular categories accessed online are social networking, portals, search, entertainment and news sites, the study said. "Out of the approximate 125 million Internet user base, the female population accounts for almost 40 per cent," it added. Online travel has seen growth across all subcategories including car rentals, online travel agents, airlines as well as hotels and travel information sites. "1 out of 5 online users in India visit the Indian Railways site," the study said. Retail category penetration has increased to 60 per cent reach and has grown to 37.5 million unique visitors a month, it said. "Apparel has been the fastest growing subcategory in retail and reaches 13.4 per cent online users in India," the study added. The study said the average transaction size online in India across both travel and retail category is USD 31 between April-June 2012. This amount is set to increase with consumer confidence in buying high priced products in the coming months, it said. "Among the payment types, American Express has the highest average bill value per transaction at USD 110 followed by Visa and MasterCard. Direct debit transactions come from IRCTC," the study added.